The moment you walk into Drs. Sheldon, Sheldon, and Furtado's office, our pleasant, tranquil atmosphere will start to relax you. We offer gentle dental care and do an excellent job of putting even the most fearful patients at ease. We can help you to relax and get the dentistry you need in comfort, even if you have experienced painful dental treatment elsewhere in the past. We have over three decades of experience working with people who fear visiting the dentist. It’s estimated that millions of Americans avoid the dentist because of a fear of needles. That’s why our doctors go out of their way to give injections that are virtually pain-free. We start by using short needles and a special topical anesthetic that is fantastic at getting the surface tissue numb before the injection, even for the most sensitive patient. Next, we give a short, one-second preliminary injection that numbs the area. We then wait for that one-second injection to "take." Once that area is numb, we can do the remaining injections with almost no sensation. We get frequent compliments on our gentle injection techniques. Drs. Sheldon and Furtado typically use IV sedation for major dental work like full-mouth reconstruction and multiple extractions. It can also be used for very nervous patients. 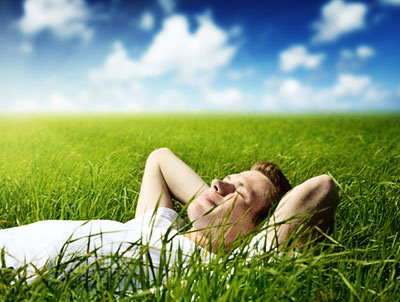 IV sedation is a sedative medication that is directly put into your bloodstream. By using an IV, the doctors have more control over how much of the sedation is entering into your system. They can control it little by little to get the effect needed. Drs. Sheldon and Furtado are IV sedation trained in two residencies and have two assistants who are trained in IV therapy. The doctors also have a medical anesthesiologist, who is both a dentist and a medical doctor, available for the longer and deeper sedation cases. Our doctors and staff ensure your comfort by explaining each step thoroughly. Your comfort is very important to us. No matter which treatment you come in for, we want to make your trip to the dentist as comfortable and pleasant as possible! Our friendly, professional staff is very competent and understanding. If you have any anxiety or fear, we can help you.